If you are wondering what is Fenugreek ? It is one of the most common kitchen ingredients used for cooking recipes of different cuisines, brings with it tons of health benefits. The slightly bitter-tasting fenugreek seeds or the leaves are just enough to condition your hair and enrich your skin tone, apart from boosting your health from within. In this article, we explore some best fenugreek benefits with nutrition facts. 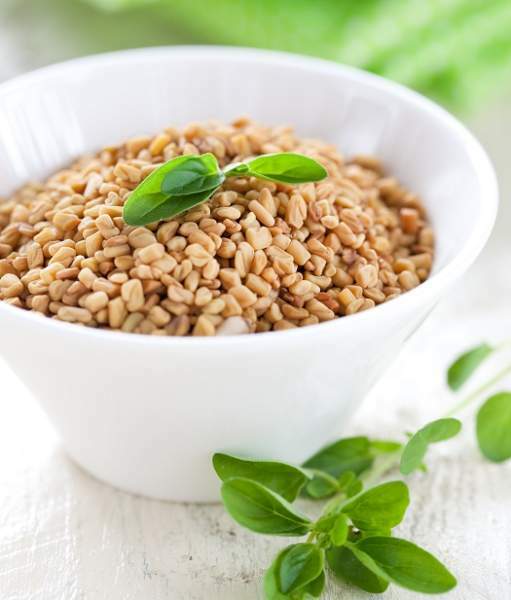 Fenugreek, our very own “Methi”, whose scientific name is Trigonella foenum-graecum, is an exclusive and oldest herb native to Northern Africa, Western Asia and south-eastern Europe, although it is widely grown and consumed across the world. The active compounds in Fenugreek according to a study conducted by IOSR are Tannins, Carbohydrate, Glycosides, Phenols and Resins, Flavonoids, Alkaloid and Terpens. Fenugreek which is widely used across the Asian continent is a favourite of many Indians. While seeds are called as “Menthulu” and the leaves are called as “Menthikura” in Telugu, the same is called as “Methi” in Hindi, Bengali, Gujarathi, Oriya, Punjabi Urdu and Sanksrit, while it is called as “Vendayam” in Tamil and “Ventayan” in Malayalam. How Much Fenugreek Dosage Should I Use Daily? Daily consumption dosage of fenugreek powder or seed or leaves although varies according to the problem you would want to combat, ideally the dosage should be restricted to anywhere between 5 and 50 grams per day for best results. Now that you know the origin, history, nutritional values and dosage of fenugreek, we will now get into understanding methi dana benefits and How to Use fenugreek seeds? Here we enlisted 23 best fenugreek benefits for health, hair and skin. Let’s have a look in to them. Here we enlisted top 15 fenugreek health benefits. Let’s have a look in to them. Remedy Description: If the small size of your breasts is giving you embarrassment, then worry not! Here is a simple yet effective remedy for you. Dump all the pricey breast enlargement creams and follow this natural regime for increasing the size of your breasts. Fenugreek spice has the power to increase oestrogen harmone levels in your body. Take three grams of fenugreek seeds and soak them overnight. Early in the morning, strain the soaked fenugreek seeds. Consume the strained fenugreek seeds water on empty stomach. This will balance the hormones in your body and surely bring about some positive changes in your breasts within a few months. Follow the regime without fail for a couple of months to watch your breasts grow in size. Remedy Description: This goes out to all mothers and pregnant women; since you are so close to giving birth to your new one, always remember that you will need good milk production for the baby. And for this purpose, you could use the wholesome goodness of fenugreek seeds. The composition of fenugreek seeds is an essential formula for nursing mothers. So to increase Breast milk production in your body, make sure you consume fenugreek seeds or dal or curry made out of fenugreek leaves. Fenugreek can be taken in various forms and you choose the easiest of all! You could just put a teaspoon of fenugreek seeds in your mouth and swallow them with some water or if you are ok with the bitterness, you could chew on them. Sprout the fenugreek seeds by soaking in water for some time and letting them rest wrapped in a clean white cloth placed in a dark corner. Add the sprouts to your salad or just boil them, squeeze a lemon and munch on them as a snack. Add a teaspoon of fenugreek seeds to a glass of hot water and let it steep. Strain the tea, add some honey to it and drink it up. Take a handful of fenugreek seeds, dry roast them and grind them into a fine powder. Add this powder as a seasoning to your curries and salads. Take fresh fenugreek leaves, wash them well and stir fry them with vegetables of your choice and eat it with a roti or rice or you could use it as a sandwich filling too! If you wish to eat methi in a really easy way, add the freshly chopped fenugreek leaves to the wheat flour and make parathas. Yummy methi parathas! Consume methi seeds or leaves on daily basis until you feel that the breast milk has increased to a proportionate level. After that, you can adjust the intake to thrice a week and then adjust accordingly later. Remedy Description: Fenugreek seeds make up to one of the most promising home remedies for fever and sore throat. Fenugreek seeds can fight infections and other flu related symptoms effortlessly. This is why most experts will advise you to have this drink whenever you have cold or flu. All you have to do is take some fenugreek seeds and soak it in water. Add some lime and honey in it. Make sure the water is a little warm. Now drink it down and we assure you that within a couple of days, you will find a lot of relief from discomfort caused by cold and flu. It is advisable to drink the fenugreek stew for at least 3 days to get best relief. Repeat until you get good relief. Remedy Description: Fenugreek seeds can also be a quick solution to all women’s health problems such as stomach cramps and abdominal pain during menstruation. It can also prevent hot flushes, mood swings and other kinds of occur which occur during menopause or pregnancy. They keep you calm and sedate all throughout the year even people who have changing moods can definitely find a solution by using fenugreek seeds on a regular basis. This one is like a pain killer that can really take good care of your health and improve it as well. Heat a glass of water. Add a few mint leaves, basil leaves and a small piece of cinnamon stick. Let it boil for a minute. When it is hot, add a teaspoon of fenugreek seeds and let it sit for a minute. Once the fenugreek flavour soaks into the tea, add a few drops of lemon juice and honey. Drink this tea once daily to enrich your health. During menses or during menopause time or when you have mood swings, any discomfort due to hormonal change can be sorted by consuming this tea. Remedy Description: For those suffering from erectile dysfunctioning and reduced sexual desire, Ayurvedic practitioners have been prescribing supplements infused with fenugreek extracts for ages now. It is as effective as Viagra as it regulates testosterone level. Soak a teaspoon of fenugreek seeds over night. Strain the water and drink it empty stomach the next morning. It is advised for men to consume this fenugreek water for about one month to see its result. Remedy Description: Fenugreek seeds are often termed as the seeds for athletes. The seed is good for athletes due to its high amino acids content, alkaloids and medicinal properties. Amino acids help in synthesis, maintenance and repair of muscles. The amino acids present are lysine and methionine. 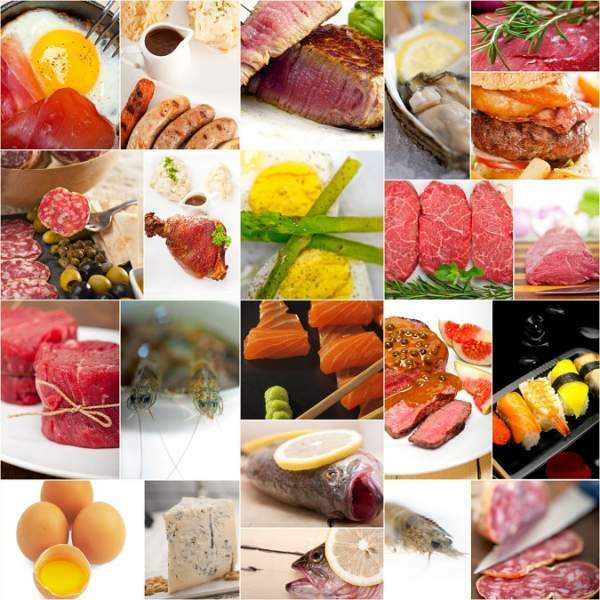 They are responsible for the formation of carnitine and taurine. This powder is increasingly used as an ingredient to make supplements for increasing muscle mass and strength. It increases the muscle glycogen with exercise. It facilitates more energy, more endurance and more strength during sports. Dry roast generous amount of fenugreek seeds. Now grind them into a fine powder. Store the powder in an air-tight container. You can use this powder as a seasoning on your curries or salads or even add some jiggery and make laddus out of it for evening snack. Remedy Description: Fenugreek seeds have mucilage which creates an outer coating in the stomach and intestinal linings. They soothe the damaged tissues of the gastrointestinal tract. Thus it prevents heart burn or acidity. Take a teaspoon of fenugreek seeds, and chew or swallow them with some water. However it is more effective if soaked overnight, as it makes its outer layer mucilaginous. You can also add about a teaspoon full in your food and curries. It will help to keep acid reflux and heartburn at bay. Keep adding good amount of fenugreek to your food recipes and get relief from heart burn and acidity. Remedy Description: Diabetic patients should definitely add fenugreek seeds to their diet. Fenugreek contains a natural soluble fiber, known as galactomannan, which helps to slow down blood sugar absorption. Fenugreek seeds are also rich in amino acids responsible for inducing production of insulin. Soak 10 gm of fenugreek seeds in warm water. Wait for the fenugreek to soak in well. Before the water gets cold, consume it like green tea. Consuming this natural herb tea will effectively reduce symptoms and issues especially in patients suffering from diabetes type 2. Remedy Description: Fenugreek seeds are rich in fiber content and anti-oxidants. They increase the volume of stool and fight constipation. The mucilage present in the seeds also protects the mucous membranes. It helps in flushing out toxins from the body and also quite effective in treating gastritis and indigestion. It soothe ulcers, aches in the stomach and improve digestion. Dry roast a handful of fenugreek seeds. Allow them to cool down. Grind them to a fine powder. Store this powder in an air-tight container. Mix a teaspoon of fenugreek powder in warm water and drink to get instant relief from constipation. Remedy Description: Heart attack is the major cause of maximum deaths across the world. Strokes occur when a major artery in the heart gets choked and the blood flow to the heart is hindered. Fenugreek seeds help to prevent any further damage and also counteract the oxidative stress occurring during a stroke. These seeds have a modulated effect on the blood lipid level, and they can substantially reduce the chances of atherosclerosis. 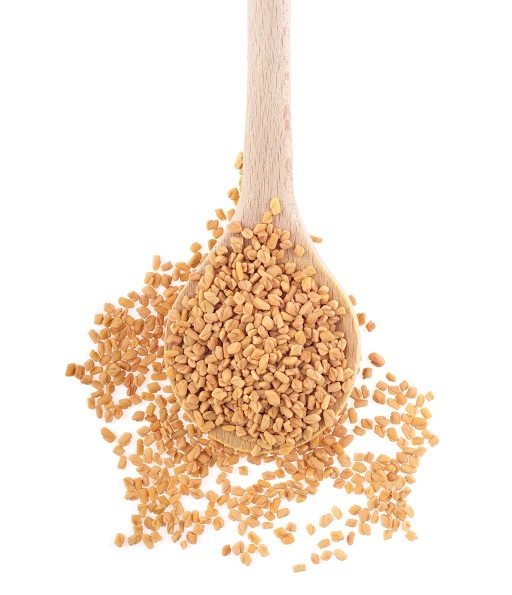 Dry roast a handful of fenugreek seeds, grind and save the powder for daily use. Boil water, add fenugreek seeds to hot water, let it sit for some time and drink it up. Just swallow the seeds. Make fenugreek leaves dal or curry or just make paratha out of it or you could make fenugreek vegetable patties and consume. Follow any of the above mentioned methods to stay fit and healthy! 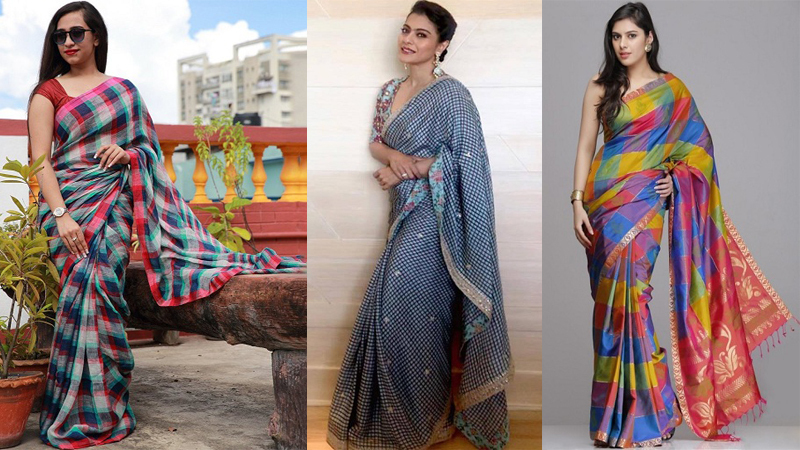 Do any of them on daily basis to keep your heart functioning well! Remedy Description: Fenugreek which is now the magic ingredient for best health benefits is also an amazing agent that has the power to lower cholesterol levels. Regular intake of fenugreek either in powdered form, seed form or in leaves form can extensively reduce cholesterol production there by enriching the functioning of intestines and the liver. Mix powder of dry roasted fenugreek seeds in warm water or butter milk. Add fenugreek seeds or leaves or powder to any of your curries or dal and make it a part of your daily diet without fail. Fenugreek intake on daily basis will keep bad cholesterol at bay and enhances good health. Remedy Description: Methi seeds or methi leaves are a wonderful remedy for quick and effective weight loss. Especially, methi leaves are best known for their exclusive fat burning nature. Take a cup of washed, cleaned and chopped methi leaves. Add them to two glasses of boiling water. Turn off the flame and set aside to cool down. Filter the water and grind the methi leaves to a smooth paste. You can drink up the juice and use the methi leaves paste to make a soup with other vegetables. Add methi to your diet every day and experience quick and effective weight loss and inch loss. Remedy Description: Diabetes is a growing problem in people across the world irrespective of their age and gender. Increased blood sugar levels can cause multiple organ failures. Scary, right? To combat this effectively, you can rely on the natural ingredient – Fenugreek. Here is how to make the fenugreek spouts salad. Take two handfuls of fenugreek seeds. 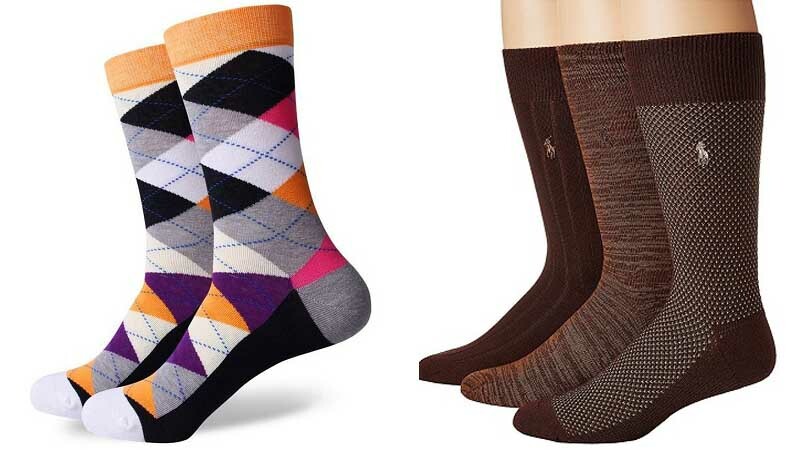 Wash them well and soak them overnight. The next day, take a clean white cloth, transfer the seeds to the cloth, place it in a dry container all wrapped up. Wait for two days and you will see green shoots from the seeds. To two tablespoons of methi sprouts, add your favourite salad veggies, season the salad with salad dressing, pepper powder, some lemon, basil and some coriander. Eat this healthy salad everyday either as breakfast or as a salad bowl before lunch and watch your blood sugar levels fall in place! Remedy Description: Methi seeds are rich in potassium as well as dietary fiber. Fenugreek has the power to lower cholesterol levels and also blood sugar levels, thereby altering excessive amounts of sodium or presence of other unnecessary elements. Therefore it is an amazing remedy for blood pressure. Take a tablespoon of methi seeds and boil them in water for a couple of minutes. Once the boiled water cools down, filter and grind the seeds into a smooth paste. Just quickly eat a teaspoon of this paste on empty stomach twice a day. Repeat this every day for at least three months to watch your high blood pressure levels coming down to normal levels. Remedy Description: Not just regular type 1 and type 2 diabetes; fenugreek seeds, contain the magical components to combat even gestational diabetes and that’s why methi is best suggested in the diet for pregnant women. Apart from combating diabetes, Fenugreek is known for its pain relief properties. Pregnant women can consume fenugreek to get relief from the intensity of any spasm pains or labour pains. For pregnant women, since nausea is a common symptom, it is advisable to eat methi in the form of leaves added to curries. Add methi leaves to curries or dal. Make parathas with methi leaves. Just add small amount to tamarind to methi leaves and make chutney out of it to treat your taste buds. Make sure you have methi added to your diet on daily basis so as to combat any possible health issues during pregnancy. Also since the fenugreek seeds are best known for increasing breast milk, intake of fenugreek right from the time of pregnancy will have added benefits. Here we enlisted top 4 fenugreek benefits for hair. Let’s have a look in to them. Remedy Description: Now a days, Hair Loss is one of the biggest problem for men and women. Whether you are fifteen or fifty, at least 5 out of ten of us will complain about hair loss when we are combing our hair after shampoo. And it is definitely annoying because too much of hair loss leads to balding. And who wants that? In order to treat hair loss and fight such a huge problem, you can make use of fenugreek seeds. Just soak some methi dana or fenugreek seeds in water and let it stay for a few hours. After soaking well, grind the seeds into a fine paste. Mix the fine fenugreek seeds paste with coconut or almond oil and apply all over the hair and scalp. After one hour, using a mild shampoo, wash your hair and rinse thoroughly. Repeat this at least once a week for best results. 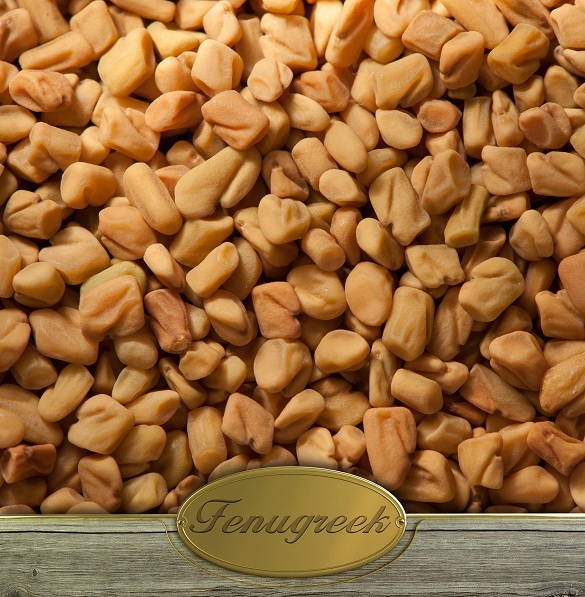 Remedy Description: Fenugreek seeds oil is great for the scalp and it quickly combats dandruff. You can massage this all over your scalp in order to get rid of lice and an itchy and flaky scalp. Buy an organic fenugreek oil bottle. It is available in any branded supermarket or in organic or ayurvedic stores. If you want to make your own fenugreek seeds oil, it is a huge process. However here is a way to do it. Take a sauce pan and add 250 ml of coconut oil. Once the oil is hot, turn off the stove and add dry-roasted fenugreek seeds powder into it. You can also add almond oil to enrich the oil. Another way of doing it is to soak fenugreek seeds for a few hours and grind them into a fine paste. Add warm coconut oil into the paste and then massage on the scalp. Take a generous amount of fenugreek seeds oil blended with coconut oil once it comes to room temperature. Apply it nicely covering the scalp and roots of the hair. Massage into the hair and through the hair line for a relieving effect. Massage the oil twice a week at least to get rid of dry skin, scalp irritation, stimulates hair growth and makes your hair look shiny and beautiful. Remedy Description: You can also use fenugreek seeds as a great hair conditioner. They will do wonders to your hair for sure. Although before-wash hair masks are really beneficial, after wash fenugreek conditioner also gives good results on busy days. Soak a handful of fenugreek seeds in water for a few hours. Once the fenugreek seeds turn soft, grind them into a thick paste. Now add 1 tablespoon of curd and a few drops of coconut or almond oil to the mixture. It is advisable to use any non-greasy hair oil so as to avoid the damp and oily look after wash. Apply the fenugreek herb mixture all over your hair after shampooing and let it stay for five minutes. Rinse thoroughly with cold water and your hair will retain its shine. Repeat the process once or twice a week for best results. Remedy Description: Grey hair has become one of the most common problems of today’s generation. Irrespective of age, profession and gender, grey hair has become an all-time issue. Work pressure or hormonal imbalance, hereditary, anemia, pollution, vitamin deficiency, malnourishment, or excess tobacco intake, whatever may be the reason but greying of hair in 20’s and 30’s is a real problem to deal with! Hair colours or dyes are relatively costly and harmful. So is there no option? Well! There is! Fenugreek herb uses are many and that can work magic on your grey hair. Take a tablespoon of dry roasted and finely ground fenugreek powder. Take two tablespoons of coconut oil and heat it. Once the oil is hot, switch off the flame and carefully add the fenugreek powder to it. Gently apply this oil mixture to your scalp and massage into the scalp. Wait for it to be absorbed by the scalp. After may be an hour, rinse it off with a mild shampoo. Repeat this at least twice a week to see your grey hair problem reduce. Here we enlisted top 4 fenugreek uses for skin. Let’s have a look in to them. Remedy Description: Fenugreek seeds help in curing skin inflammation. While most of the remedies talk about fenugreek seeds mask for skin brightening or smoothening, not many know that fenugreek seeds foam pack can be used to counter any inflammation anywhere on the body. The fenugreek seeds foam pack can also be used on blisters as it reduces heat generated by the body. Take a handful of methi seeds, soak them in a cup of water for a few hours. Once the seeds become soft, grind them to a fine paste. Now, keep a part of the mixture aside and add the remaining mixture to a relative amount of warm water to make it a solution. Now, soak a piece of neatly washed thin piece of white cloth in the solution. Let the cloth sit in the solution for some time. Now, apply the mixture you kept aside on the inflammation. Squeeze the solution off leaving the cloth slightly damp and apply it as a foam pack on the inflammation and then apply the set aside mixture on the cloth as a pack. Leave it for some time and repeat as needed to see the inflammation disappear. Remedy Description: One of the most promising natural ways to remove blackheads is by consuming fenugreek water. It will draw out all the toxins and clear your skin completely. Both internal and external application gives you beautiful and glowing skin within a month or so. Not just that, fenugreek seeds are great for all those who would like to remove all signs of ageing and marks from their skin. This one will really restore the beauty of your skin within a few weeks. Take a tablespoon of methi seeds. Add them to two glasses of water and set to boil. Once the water boils and reduces to half, switch off the flame and let the solution cool down. Take a glass of the fenugreek seeds water on empty stomach every morning. Follow this regime for a month and watch your skin glow while your health enhances from within. Remedy Description: Fenugreek seeds gain immense power when they are soaked and germinated as they are rich in antioxidants as sprouts and in that stage they can effortlessly fight the elements that cause aging. When you blend this super anti-aging element with a secret ingredient – Yogurt, then there is nothing like it! Yogurt is rich in lactic acid and it smoothens your skin evenly. 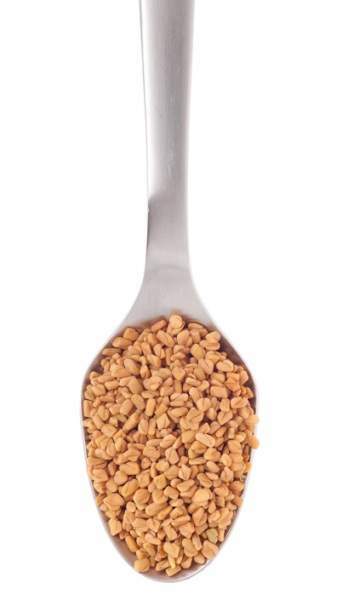 Take one tablespoon of fenugreek seeds and soak them overnight. The next morning, take one tablespoon of curd or yogurt. Grind both the ingredients to a fine paste. Gently apply the paste evenly on your face as a pack and leave it for 20-30 minutes. Once you see it drying, rinse it off with cold water. Repeat this remedy every day or at least thrice a week based on your convenience to see best results. Remedy Description: Pimples can be really bothersome. Itchy, painful and tough to deal with! The diosgenin present in Fenugreek is an amazing anti-bacterial and anti-inflammatory agent and that is what counters pimples leaving your skin fresh and clear. Take a handful of fenugreek seeds and soak them overnight. In the morning, take one litre of water, add the soaked fenugreek seeds to the water and heat it for about 10 minutes. Once the water heats up well, switch off the flame and let is aside to cool down. Once it is cool, strain the water. Take a clean white piece of cloth or cotton. Dip the cloth or cotton into the water and dab it on your face two times a day. If you have any excess solution left, refrigerate it and use it later. Fenugreek, the wonder herb, that is just extremely easy to grow brings with it a bunch of health benefits. Be it for various health problems or for skin care or as a hair conditioner, fenugreek is an all-rounder herb! Add methi to your diet every day either in the recipes you cook or as a powder added to warm water, just consume fenugreek seeds every day and keep the doctor away ! Is Garlic Good for Colds And Flu?